If you’re looking for goal scoring drills, you’ve come to the right place! This special book focuses on the most important factor in winning games – scoring more goals than the opposition! Training Creative Goalscorers enables you to create a soccer training environment in which your players can improve their shooting, reaction times and reading of the game all at the same time. It’s no secret, every player loves scoring goals. Whether they’re forwards, flankers charging up the wings or goalkeepers running up the pitch for corners, every player wants to be the one to get the ball in the net for their team. The thrill of scoring goals is something every player aspires to attain. But developing the creativity, reaction times and precise placement needed to score consistently can be difficult to achieve on the practice pitch. Training Creative Goalscorers, by Chelsea Academy Coach, Michael Beale, is a book that’s focused, dead center, on developing the skills players need to score goals consistently. Instead of uninspiring drills that merely place players in long lines around the penalty area, this book is packed with 103 soccer drills that will improve your team’s finishing ability. The drills progress from simple unopposed drills around the box to creating training environments, with multiple stations, types of obstacles to clear and tasks to perform before goals can be scored. Creating this type of training environment will enable you to replicate the randomness and quick response times needed in real game situations. In addition, Training Creative Goalscorers will enable you to make training sessions more invigorating for players and to thrive at doing what they love – scoring goals! Watching the quick reactions, situational awareness and imagination of today’s great goalscorers, like Lionel Messi, Wayne Rooney or Robin Van Persie, can be an exhilarating experience. Whilst great goalscorers are blessed with exceptional talent, a large factor in their success comes from being able to train in situations that mirror the frantic pace and sudden changes of a real game. Conventional shooting and scoring drills can be valuable for developing technical skills. But they don’t enable players to develop the ability to make quick decisions, to spot gaps and be able to place shots under pressure like in a real game. This is where the 103 soccer drills in Training Creative Goalscorers come in. 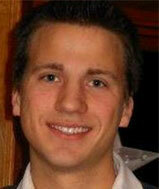 The drills are designed to develop a wide array of skills in and around the area. This includes 1v1 situations, breakaways, finishing from crosses, reacting to rebounds and more. Through detailed diagrams and clear explanations, the book shows you exactly how to implement every drill so you can create an environment in which your players can learn how to make fast decisions and react quicker, so they can score more goals more often on game day. Training Creative Goalscorers is written by professional coach Michael Beale, who is the Academy Youth Development Officer at Chelsea where he coaches kids and young adults to develop into tomorrow’s soccer stars. During his playing career Beale played collegiately for Life University, Atlanta, before turning professional and enjoying stints at Charlton Athletic, England, and FC Twente in Holland. 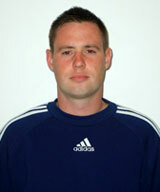 Beale then turned to coaching and gained extensive experience at AFC Wimbledon as their U19 head coach and with Crystal Palace Ladies as first team manager. 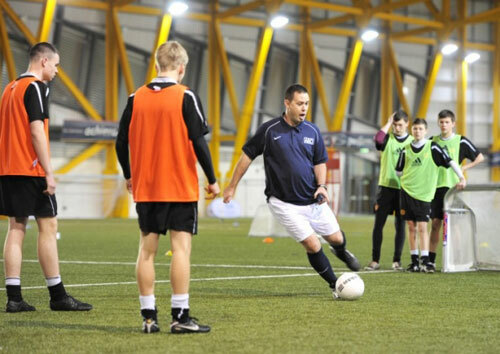 Beale holds a UEFA A license, UEFA B license, FA Level 2, Sports Psychology diploma, Sports Nutrition, diploma, Futebol de Salao coaching qualification, Community Sports Leader Award, FA Youth Coaching qualification and FA Child Protection qualification. This book shows you, through detailed diagrams and clear explanations, exactly how to utilize 103 different soccer drills for improving goal scoring. The soccer drills progress from unopposed runs on goal, simple pass and shoots and 1v1 situations to creating complex training environments, incorporating multiple drill stations, mannequins and complex routines for players to remember. Along with developing shooting ability, the drills cover a wide array of skills, both in and around the box. The types of drills include 6v6, breakaways, back to pressure, finishing from crosses, reacting to rebounds, runs behind defenses, dribbling around defenders, receiving diagonal passes, precision passing and more. Whether you are coaching recreational teams or players at the highest level, the variety of the 103 soccer drills in Training Creative Goalscorers means that you can run coaching sessions with just 2 or 3 forward players or run goalscoring coaching sessions for the entire team. Author, Michael Beale putting some young players through their paces. Ultimately, the 103 soccer drills in Training Creative Goalscorers will enable you to recreate game like pressure on the training pitch. This will mean that knowing what to do and how to perform in real game goalscoring situations will become second nature and their reactions automatic. 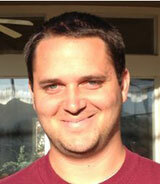 This in turn means your players will score more frequently and your team will win more matches. WORLD CLASS COACHING is recognized globally for the quality of its soccer coaching resources, which are used by over 40,000 soccer coaches from around the world. Training Creative Goalscorers unless it achieves our exceptionally high standards. However, if you are not 100% satisfied with the quality of Training Creative Goalscorers after six months of implementing its small-sided games and exercises then please contact us for a no quibbles refund. Becoming a creative goalscorer isn’t about luck or having a natural gift. It comes from hard work on the practice pitch. 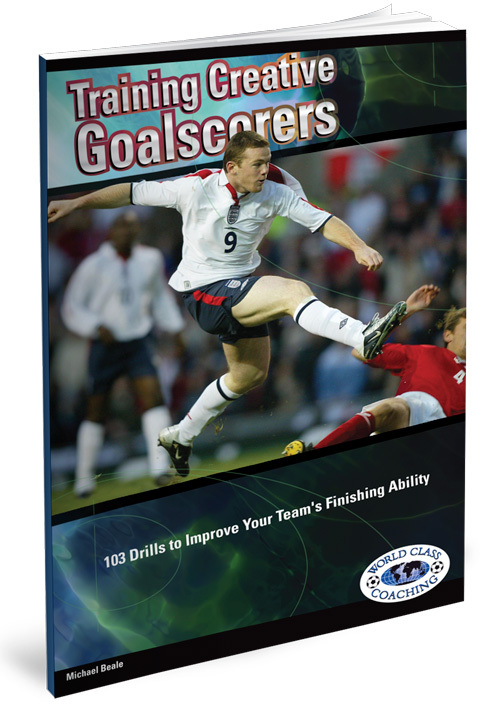 Training Creative Goalscorers provides 103 soccer drills you can use to train your players in the full array of skills they need to score more opportunities on game day. This includes being able to cope with pressure, quick decision making, spotting the gaps in defense and the technical skills of being able to receive the ball and shoot accurately with power. Through detailed diagrams and clear explanations, this book shows you exactly how to create a wide variety of training environments that will train your players to be able to take advantage of more goalscoring opportunities in real games. The result is a team that’s more practiced, comfortable and confident in and around the penalty area, which means more goals for your team and points on the league table. P.S. 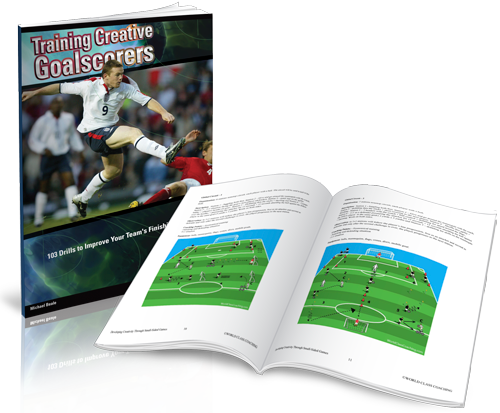 Training Creative Goalscorers is packed with 103 soccer drills and training exercises for improving your players’ confidence, familiarity and capability in and around the opposing penalty area. Along with developing their technical skills, the expertly designed soccer drills will train your players in quick decision making, reaction times and the many other skills they need to become creative and adept goalscorers. 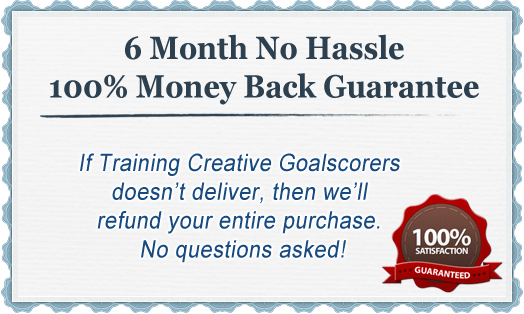 P.P.S If you are not 100% satisfied with the quality of the soccer coaching resources in Training Creative Goalscorers after six months then we will refund your purchase in full, no questions asked.